A user reported that a system was performing very slowly and asked that I make a recommendation on upgrades to the system to improve performance. It was an employee's system, which she used when her own system was unavailable, but she found it ran much more slowly than her own system. The system had 768 MB of memory and a processor speed of over 2 GHz, so I didn't think there should be a great performance difference between the two systems. Yet when I checked the system myself, I found it did perform sluggishly. Since I find the most common cause of poor performance now is adware/spyware, that was the first check I decided to make. 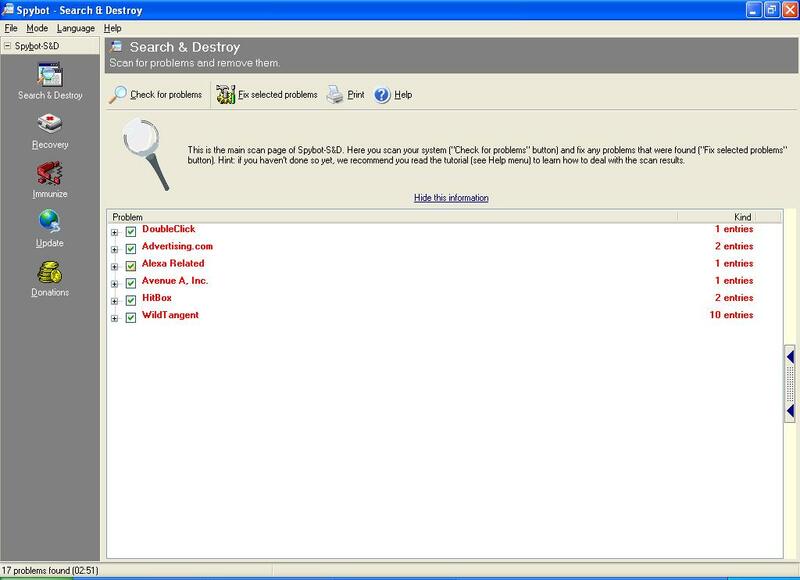 I updated Bazooka Spyware Scanner 1.13.02 and checked the system with that software first. It did not detect any adware or spyware. I next checked the system with Spybot 1.3. It found several adware cookies, which certainly would have no impact on the system's performance and WildTangent Web Driver (see Image 1). There are legitimate uses for cookies, though it is possible for some advertisers to use third-party cookies to track users' web browsing habits across websites. That is a privacy issue for some, but I don't regard it as a significant security problem in most cases. I wasn't certain about WildTangent Web Driver. I've seen it on other systems, but I have no definite information to condemn it as the source of the performance problems. 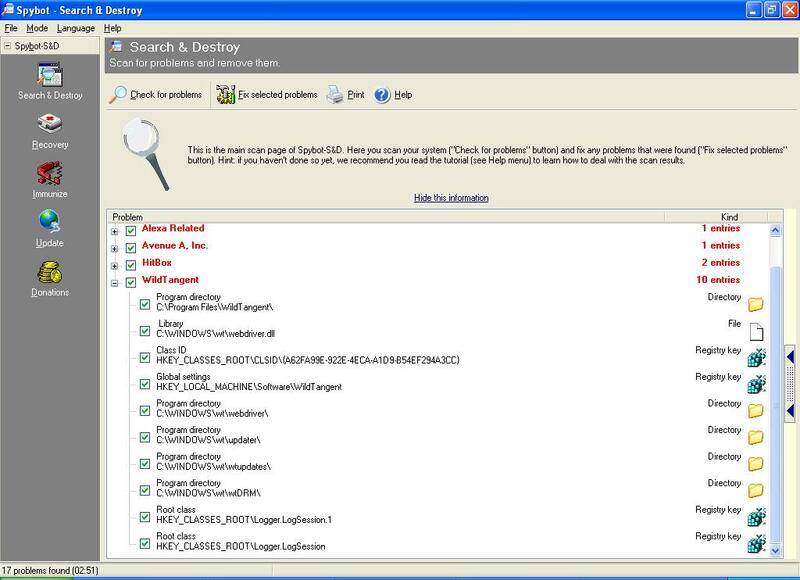 Spybot indicated that the WildTangent files resided in two directories, C:\Program Files\WildTangent and C:\Windows\wt with a few registry keys associated with it (see Image 2). Some adware/spyware tries to disguise itself with random names or names that make it appear the software is part of Microsoft's Windows operating system, but the WildTangent software wasn't hiding itself. 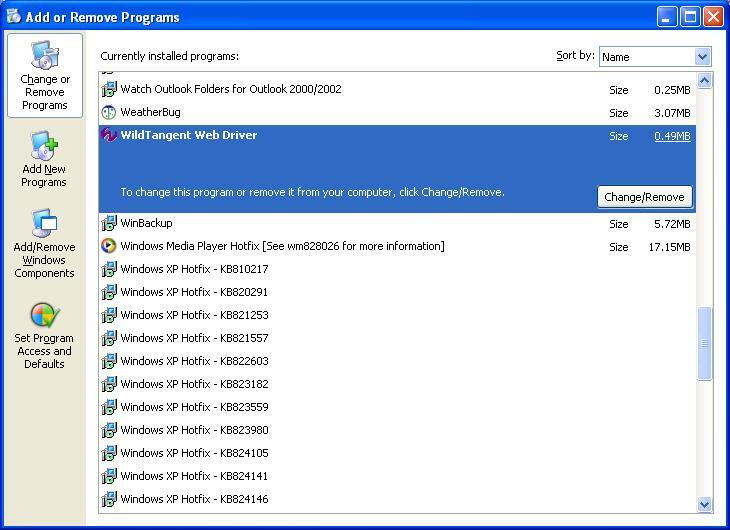 It was also clearly labelled under "Add/Remove Programs" as "WildTangent Web Driver" (see Image 3). The WildTangent Web Driver is the Internet's most popular and widely used media player for games and other rich media applications. The Web Driver provides streaming, caching, rendering, security, and multiplayer features for online games and applications. The Web Driver makes use of your computer's most advanced media capabilities, and as such its stability is vulnerable to changes in your computer configuration such as operating system patches or video driver changes. To ensure a consistent experience, the Web Driver periodically checks online with WildTangent support databases for software updates and patches. At these times anonymous system configuration information such as CPU speed, video card configuration, and DirectX version will be reported online exclusively for the purpose of identifying what patches or updates may be needed for this particular computer configuration. This data does NOT include any personally identifiable information. I am somewhat wary of software updating itself unbeknownst to me, but WildTangent does allow one to control that behavior. If you click on the "Updates" entry (see Image 5), you have the opportunity to select "do not download or install new Web Driver updates without asking first". 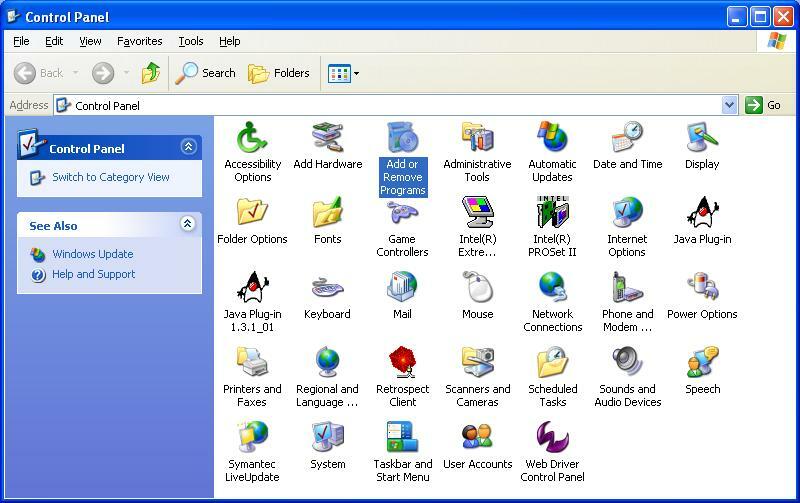 There are other sections, some of which allow one to change other settings, such as Cache, Web Driver 3D Engine, Multiplayer, and Content Licensing. According to the I Am Not A Geek website, the WildTangent software is installed by a number of third party applications, including AOL Instant Messenger (AIM), and is sometimes even installed by Internet Service Providers (ISPs) and Original Equipment Manufacturers (OEMs). 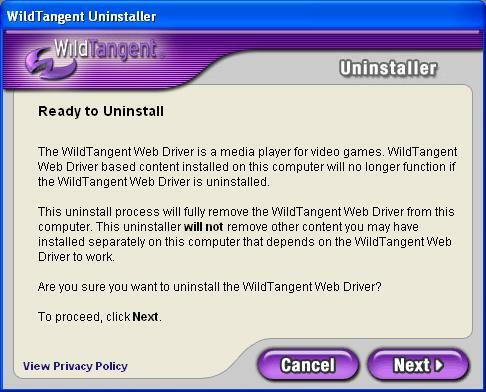 I removed WildTangent from the system, since the system wasn't used for on-line gaming and I'm sure the user of the system had no inkling it was there or how it got there. The uninstall worked fine. You are prompted to confirm you really want to uninstall it (see Image 6), but it does remove all of the traces of itself that Spybot found, since a subsequent Spybot check didn't report its presence. It did not appear to be the cause of the poor performance, since the system performance didn't improve after it was improved. The files in the WildTangent directory under C:\Program Files are in this Zip file.